The Foundation for Science, Technology and Civilisation (FSTC) organizes an International Conference on Muslim Heritage in our World during 25-26 May 2010. This academic meeting will be held on the occasion of celebrating the International Launch of the new blockbuster Exhibition 1001 Inventions: Discover the Muslim Heritage in our World in the Science Museum, London. The highly successful interactive exhibition has attracted over one hundred thousand visitors in its opening weeks at the prestigious Science Museum in London, and will soon begin a world tour of capital cities. To mark this auspicious occasion, FSTC holds a high profile conference and and jointly with the Science Museum holds an evening reception at the Science Museum, London. Since its opening on 21st January 2010, the exhibition and its complementary award winning short film, 1001 Inventions and the Library of Secrets, starring Sir Ben Kingsley, have attracted unprecedented interest from around the world. The film alone was downloaded and viewed over one million times in the first month of it being aired on the internet. Similarly, the exhibition has received an overwhelming degree of attention from the world's press, including wide coverage from leading papers and television channels such as The Guardian, The Times, The Telegraph, the BBC, CNN, Al Jazeera, Samanyolu, and NBC. The exhibition has also the honour of receiving many VIP visitors, including Turkish Prime Minister Recep Tayyip Erdogan, the Prince and Princess Michael of Kent, Prince Hasan of Jordan, and various ambassadors. 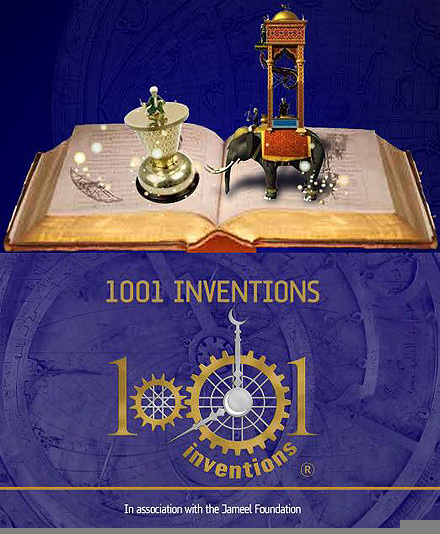 1001 Inventions aims to spread the message that for a thousand years, from the 7th century onwards, exceptional scientific and technological advancements were made in Muslim civilisation. Men and women of various faiths worked together, building upon the inventions and discoveries of ancient cultures and making breakthroughs that helped pave the way for the European Renaissance. These examples are intended to inspire today's youth to seek achievement in the fields of science, and to promote inter-cultural appreciation and mutual understanding, by celebrating our shared scientific heritage. The conference is expected to welcome a range of international speakers who will debate different themes related to Muslim heritage and its relevance to modern civilisation. It will consist of keynote lectures and short presentations. This will be an ideal occasion to highlight the importance of the ongoing research in the large field of Islamic studies, especially in science, technology, history, culture and the Muslim contribution to present civilisation. Besides highlighting seminal results of research, the conference will also be the occasion to call attention to necessary further research. - Session Three will run from 4.00pm to 5.30 pm on Wednesday 26 May. A special Inaugural lecture will be held by the world renowned historian of Science, George Saliba, Professor of Islamic and Arabic studies at Columbia University, New York.